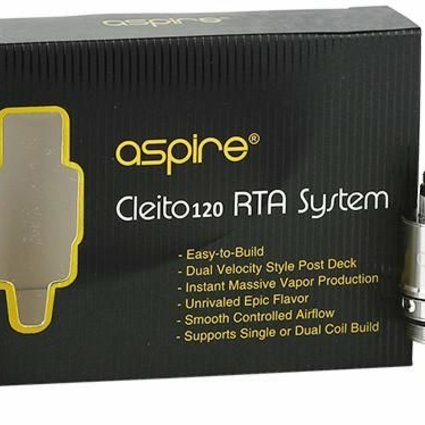 Aspire Cleito RTA system. This easy-to-build Cleito RTA has a dual coil velocity-style deck. It has tempestuous airflow and creates intense vapor cloud production. The Cleito RTA will lift your favorite E-juice's flavor to the next level.